There are many fantastic heat pumps on the market currently, and our readers have consistently told us about some of the very best. In this buying guide we are going to look 3 heat pumps that stand out from the crowd in their respective classes. We’ll take a look at 1 high efficiency/high price model, 1 mid-efficiency/ mid-price model and one standard efficiency/low price model. Before we get into specifics though, there are certain characteristics they share, and that form the basis for our choice of them as the “best in class” models. For a complete list of features on any of these heat pumps, follow the links to our main HVAC Prices articles about them. 1. They feature good design and build. 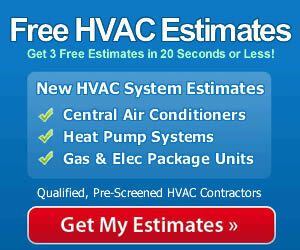 Quality is evidenced in the way each of these heat pumps is put together, including the quality of the components used. Each of these unit is built to last, and how high the SEER rating is has nothing to do with it. The confidence their manufacturers have in the way these heat pumps will perform is evidenced in the excellent warranties each of them have. There’s no junk here! 2. Each of these units is a good value, whether it’s the highest priced model from Carrier or the budget option from Payne. All 3 of these heat pumps provide a good return on the investment in terms of energy cost savings and durability. Each one offers an excellent efficiency to cost ratio – you get a high SEER unit for the price tag. 3. Each heat pump uses R-410A/Puron refrigerant for better efficiency and reduced negative impact on the environment. Now let’s take a look at the top 3 heat pumps for 2011 . The Infinity Series is the best that Carrier has to offer, and that’s saying plenty because Carrier is one of the highest rated brands in the industry by both consumers and independent testers. The Carrier 25HNA9 will save you money in every season with 19.0 SEER for cooling and 9.5 HSPF for heating. In many homes, this heat pump is replacing units in the 8-10 SEER range, so energy-cost savings may amount to 50%, and that will take a big bite out of your utility bills. The Infinity system also deserves special mention here. You get incredible performance when the 25HNA9 heat pump is matched with an Infinity air handler or gas furnace in a hybrid system, along with the Infinity control. The Carrier 25HNA9 heat pump offers enhanced humidity control when cooling and very balanced heating and cooling in all seasons. The 2-stage scroll compressor offers gentle heating and cooling without start-up blasts of untreated air. 2 ton Carrier Infinity Series Model 25HNA9 heat pump only: $1,979. 3 ton Carrier Infinity Series Model 25HNA9 split system with 80,000 Btu 90% AFUE gas furnace : $5,697. To learn more about this feature-rich Carrier heat pump follow the links to our full price review. Dave Lennox Signature Collection XP21 heat pump. Bryant Evolution Model 289B heat pump. This mid-price, mid-efficiency heat pump is Energy Star qualified and offers a brilliant balance of low price and low energy consumption. You’ll save on equipment costs up front and utility costs every month it runs. For this reason, it is an excellent system for any climate, combining 16 SEER with a 9.5 HSPF that is as high as the Carrier previewed above! The Copeland scroll compressor is widely regarded as the best compressor in the industry and is found in some of the quietest, most efficient and durable heat pumps available. The ComfortNet Communicating technology in the Amana ASZ16 16 SEER Heat Pump offers greater precision in controlling indoor temperature and humidity for year-round comfort. In addition to an impressive lineup of features, Amana stands behind this heat pump with a warranty that is unsurpassed. It offers limited lifetime coverage on the compressor, including the replacement of the entire condensing unit if the compressor fails in the first 10 years. Check out all the features on the Amana ASZ16 16 SEER heat pump by following the link, but first take a look at this sampling of current pricing. American Standard Platinum XM Heritage 16 heat pump. Armstrong Model 416LT heat pump. As you can see, the prices for the Payne PH13NA heat pump and split systems are tremendously competitive. Good durability and a 10-year warranty should give any consumer confidence when purchasing one of these affordable heat pumps or systems. That’s why it is our top choice for standard-efficiency models that budget-minded consumers have made a best seller. American Standard Gold SI Heritage 13 heat pump. Ducane Model 4HP14 High Efficiency heat pump. These are our choices for the top heat pumps for 2011 but that doesn’t mean they are the only ones you should consider. On our pages you’ll find solid reviews that share heat pump prices from other readers as well as a list of features that will help you make a good decision about choosing a model that will serve your needs very well.